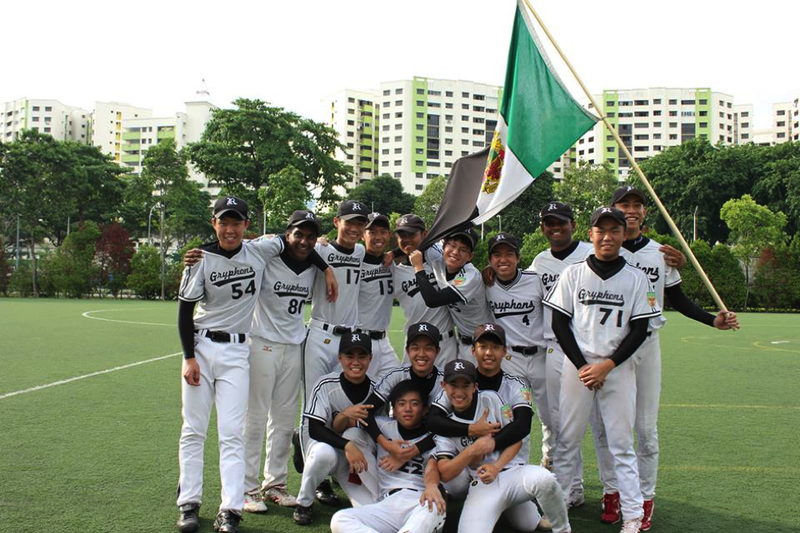 With five wins and no losses under their belt, the Gryphons looked poised to win it all at the final stage in Bedok. 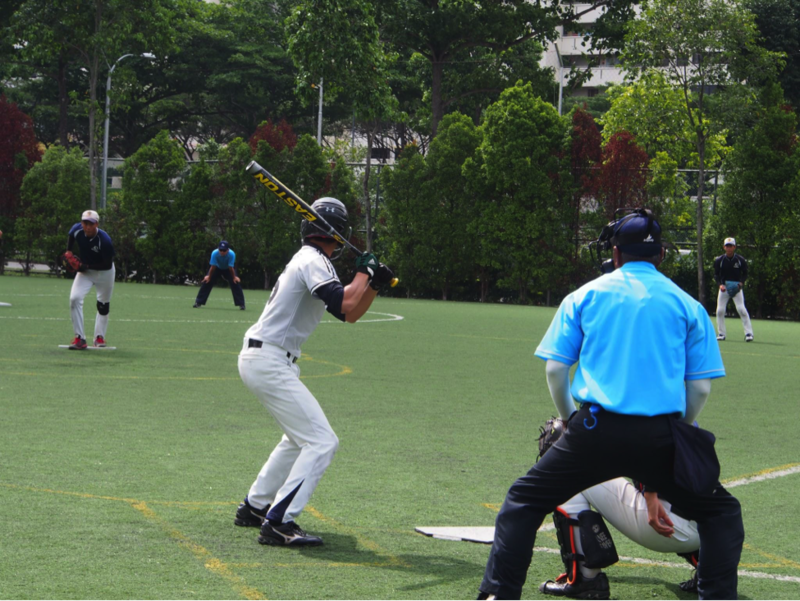 The boys softball team has come off with yet another stellar season, with a blitzing 10-0 win in the opener against TPJC, and an 11-5 victory against ACS(I) to send them straight to the finals. The landslide victories in both matchups against ACS(I) during the regular season and in the playoffs built up the team’s confidence for the final showdown. And they did not disappoint, with a 3-0 victory against their rivals to claim their position as champions for the fourth year running. The relatively calm atmosphere of the finals was punctuated by loud strings of cheers from both sides, as supporters attempted to rally and rile their teams up for the game. The game, which consisted of five innings, proved to be a nail biter. ACS(I) initiated a late comeback in the fourth inning in an attempt to pull an upset, but eventually came up short. With one game left in the 2014 season, it all came down to the last five innings. The Gryphons played with vigour and passion, propelling them to a solid start. This manifested in their strong play in the 1st inning, where Shamus and Andrew had back to back ground rule doubles, where the offensive players are awarded two bases, scoring three runs against ACS (I), to put them up 3-0. Behind all of this were the unyielding cheers of our councillors, the softball girls and even Schuyler’s family, who boosted the team’s morale and provided an impetus for the scoring run they embarked on. This 3-0 scoring run in the first inning would serve to be pivotal for their eventual success at the finals. The ACS(I) team held up a strong defence, with several hits but no scores for the RI side for the rest of the game. RI pitcher Schuyler was remarkably strong, carrying the entire team forward with no-hitters up till the 3rd inning. Yet tensions were high as the opponents stepped up their game, breaking their no-hit streak in the 4th inning and putting two men on the field. The anxieties proved to be unwarranted, however, as two strikeouts quickly ended the inning without a chance for them to score. The final inning, and the last chance for the rival team to catch up, was fraught with apprehension, but after many nerve-wrecking foul balls and near-misses, Schuyler emerged the star of the game pitching three consecutive strikeouts, leaving ACS(I)’s last batter Niels to crumble in the dust. All in all, the hard work, sweat and passion of our softballers bore fruition as they went on to win by three points, holding their opponent ACS(I) to a scoreless game. Despite another great performance put up by the Gryphons, team captain Edward still felt that they were not on point this game, stating, “We weren’t performing at our best but we still managed to get the victory.” In the world of sports, winning seems to mean everything, but that was not all that mattered in the minds of our Gryphons that afternoon in spite of clinching the gold. Putting it in the words of Edward, “Although I didn’t play much, I’m still very happy for my team… especially for the J2s since it’s their last year playing softball.” He also seemed fairly confident when questioned on next season’s prospects, assuring us that the team would not disappoint. On that note, we look forward to an even more outstanding season next year from our softball boys as they look to defend their title as the ‘A’ division champions and scale greater heights as a team.